Want the best blog content via email? Sign up for our bi-weekly newsletter. If you work in B2B sales and marketing then LinkedIn is your natural habitat. With over 300 million users in just about every industry around the world, LinkedIn is the place to sell to a business audience (see our ten tips for sales prospecting on LinkedIn to see how). But knowing where to look is easy. The tricky part is communicating in a way that engages these users and elicits the response you want. LinkedIn InMail allows you to email any LinkedIn user directly. You pay for this privilege with credits, and the number of credits you’re entitled to varies depending on the kind of professional LinkedIn account you have. If you’ve got a free account you don’t get any credits but anyone can purchase 10 InMail credits per month. If you’re starting out using LinkedIn InMails as part of your sales efforts – or have been using them already but want to hone your skills – read on for some top tips. Spamming users just won’t cut it on LinkedIn thanks to its reputation feedback system. Recipients rate the InMails they receive, and scores are collected to give senders an average score. Drop below an acceptable level and your sending power will be limited. It’s never been a good idea to send spammy InMails, but this year the stakes are even higher as LinkedIn has updated its rules. Before, you would get your InMail credit back if the recipient didn’t respond to your message. No more. Now, if after 90 days there’s no reply, you lose that credit. Add to this the fact that 48% of B2B decision makers don’t respond to LinkedIn InMails that aren’t personalised and a clear message emerges. If your mail content is personalised and relevant you’ll see better engagement and save money on wasted credits. When you write an InMail to someone, you’ll see their mail preferences listing the kind of communications they want – and don’t want – to receive. Many users will also spell their wishes out on their profile. Have a look around and don’t send people messages if they don’t want them. That’s the fastest way to get a poor feedback rating. No matter how well targeted your InMail is, you’re still interrupting someone’s day, so brevity is definitely a virtue. The InMail character limit may be in the thousands (2,000, to be exact) but LinkedIn says mails under 100 words are 50% more likely to get a response. And for extra points, remember to fit the important stuff in the first 255 characters as this is what the recipient sees in their notification email. Keep it short. Keep it sweet. Remember, LinkedIn is a social network. Hard selling isn’t a very sociable thing to do. You get the idea. Start a conversation, don’t go for the hard sell straight off the bat. Save the sales pitch for later and use the information you gather in these early interactions to personalise it. Your InMail recipient is probably just as busy as you are, and they’re unlikely to respond to your InMail (and the 1,001 other messages in their inbox) out of the goodness of their heart. You want to show them they’ll get some kind of value—whether it’s value for them personally, or value for their business—from reading your message, and you want to show them this as early as possible. 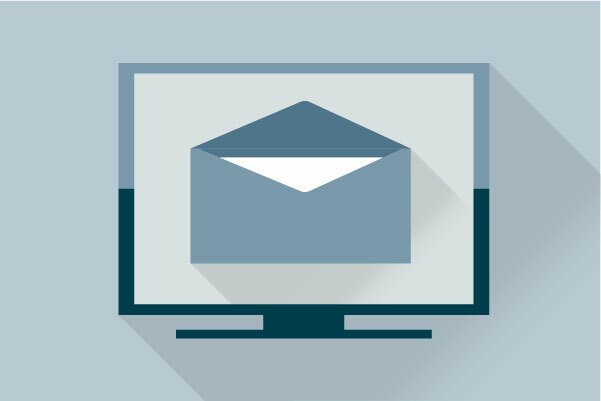 Before you do anything, have a clear goal for your InMail campaign. What do you want to get out of it, and what can the recipient expect to gain? You’re not going to be closing deals with one email, but you should make it crystal clear what the next steps are. Always bring it back to the reader and their next action. LinkedIn InMails give B2B sales and marketing professionals a great chance to speak directly to prospects, but it’s an opportunity you mustn’t abuse. With a thoughtful approach, good targeting and the right content, you can engage users and start the right kind of conversation. In the end it all comes down to being clear, human and taking the time to understand who’s on the other end of your message. If you want an even better way to personalise your InMails (and ensure they get results), see how you can connect social profiles to your CRM system using Salesforce Sales Cloud, or grab a copy of this handy Social Media for Sales Prospecting guide to get you on your way.